I always have an internal debate when considering commissioned custom works. Even when – like in this case – the owner says, “feel free to do what you like, but…” Bam! There’s always a ”but”. That “but” can mean so much more than you really planned for. Logically, the owner comes to you because he or she likes your work. But he or she probably also wants “a kind of bike” and – more importantly – has a specific amount of money to spend. Put simply, it’s all about balance. 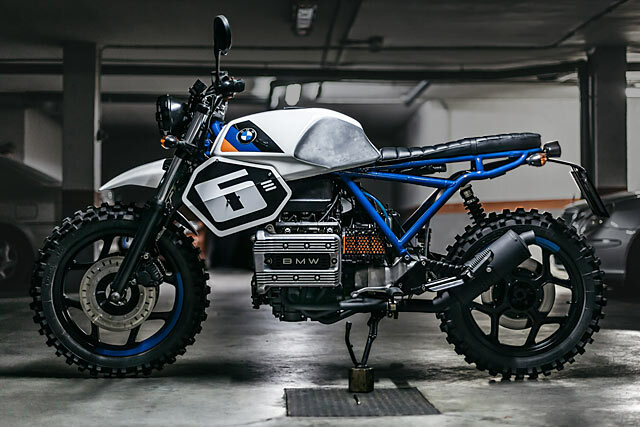 Keen-eyed readers of these pages will no doubt be familiar with Dutch motorcycle workshop Moto Adonis. 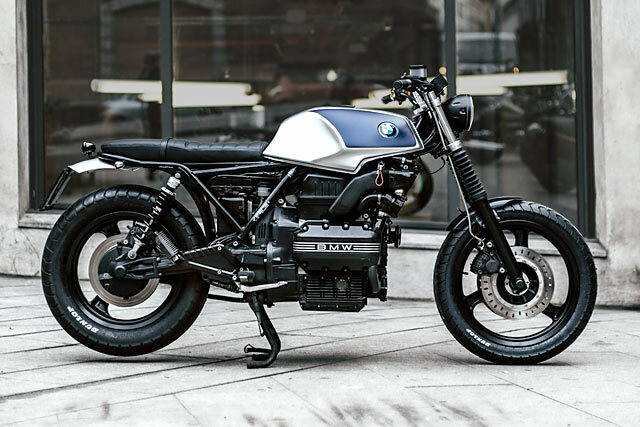 Just a few months back they turned out this spectacular R1100S build that’s equal parts beautiful and terrific to ride. 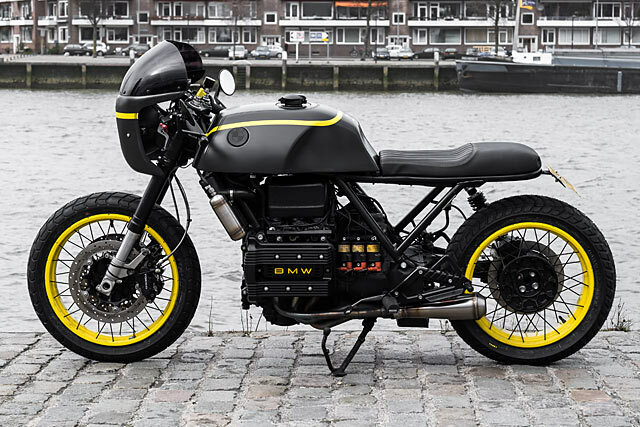 This time around Daan Borsje and his team have returned to the marque, crafting this incredible cafe racer based around a venerable 1987 BMW K75 tourer.